Infant Trolley Without Resuscitator can be used in delivery room, baby wards, NICU. Infant Trolley has a big shelf at the bottom for keeping consumables. Infant Trolley is manufactured with heavy round pipes. Acrylic transparent Seamless Crib with mattress. Body section is mounted on 7.5 cm castors. Product Size: 93 x 49 x 80 cm. 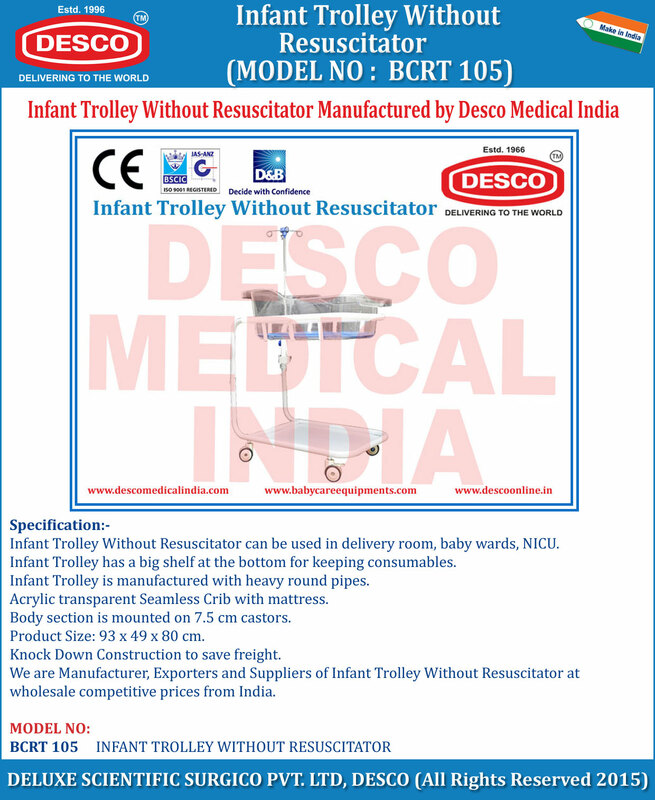 We are Manufacturer, Exporters and Suppliers of Infant Trolley Without Resuscitator at wholesale competitive prices from India.